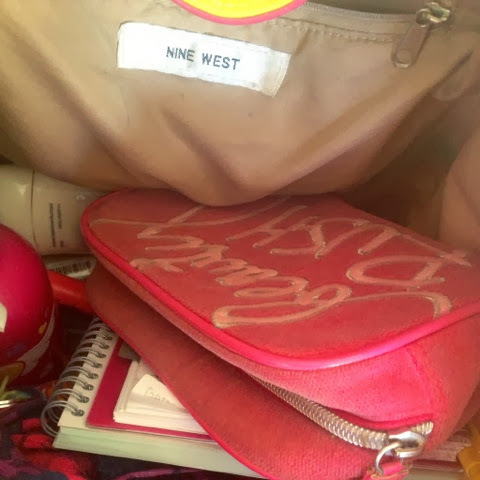 When you are on the go as much as I am, you need to know where everything is… like, right now. I cannot even express the amount of meltdowns I’ve had while trying to rush out the door and not being able to find my (shoes, phone, keys, brain…). One of my biggest annoyances in life is that each new device we get requires a new charger. One more thing to keep up with. 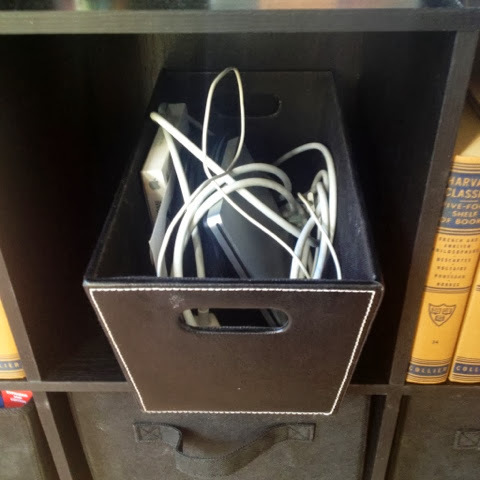 I keep all of mine together in a “Charger Bin” in my office. It is just full of USB ports and the like. 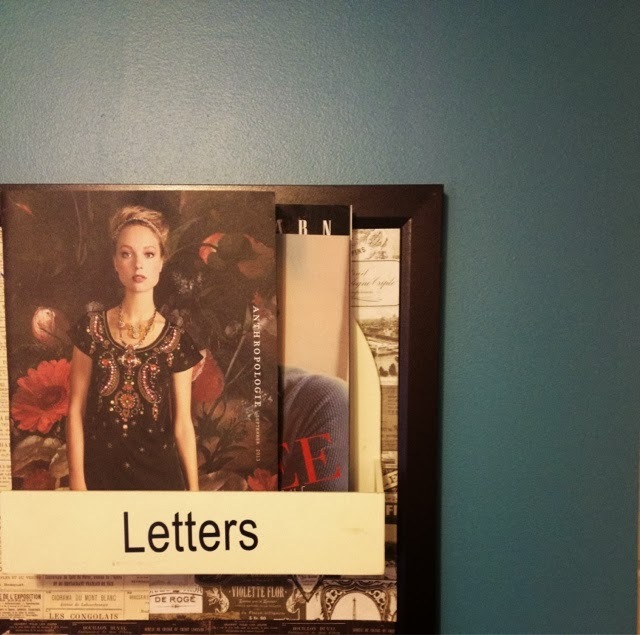 Whenever I see one out around the house, I know exactly where to put it. Best of all, whenever I need one, I know exactly where to find it. These are my biggest liability for being late. Clearly, you can leave the house without anything else. But no keys means no va. 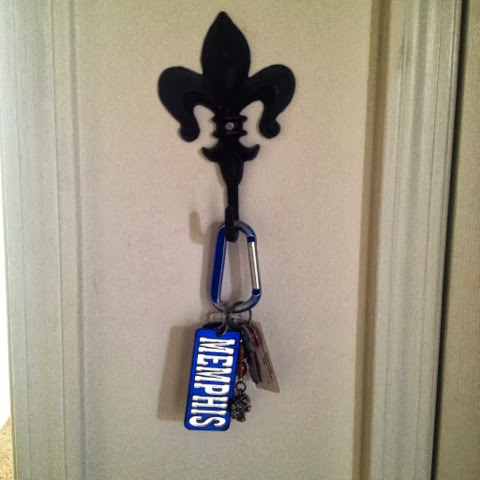 The first thing that I did when I got my own apartment was create a little space for my keys by the door. The second I walk in, hanging them up is the first thing I do. Walking out, grabbing them is the last thing I do. No more last-minute meltdowns (about that, anyway). First of all, let me just say that I am the biggest advocate for PAPERLESS BILLING! Basically every company offers it now and it makes life 1,000,000 times easier. However, there are still important pieces of mail that come the old fashioned way. Here is my process for organizing my mail: I check it as soon as I get home from work; I stop by the recycling bin and throw away the advertisements and other junk. This way, there is no extra clutter coming into my house via mail. Oh, makeup. I actually keep my makeup bag in the passenger floorboard of the back seat of my car. I leave without it on and I put it on once I’ve arrived to my location on time. Why wouldn’t I just do it at my house, you ask? Easy. I am slightly compulsive. And for whatever reason, my compulsive-ness shines brightest when it’s time to put on my makeup… and somehow that always made me late for things ("are my eyelashes even? … No. I definitely need 11 more strokes of mascara on the left side”). It remains a mystery. And color-coded pens. And highlighters. And mechanical pencils. And Sharpies. 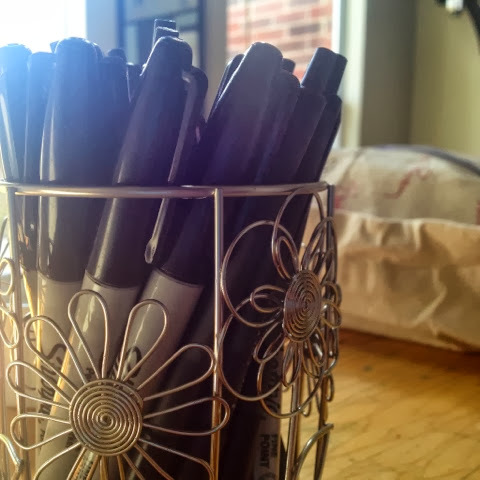 I have a designated place for each and I know exactly where to look when just the right writing utensil is needed. 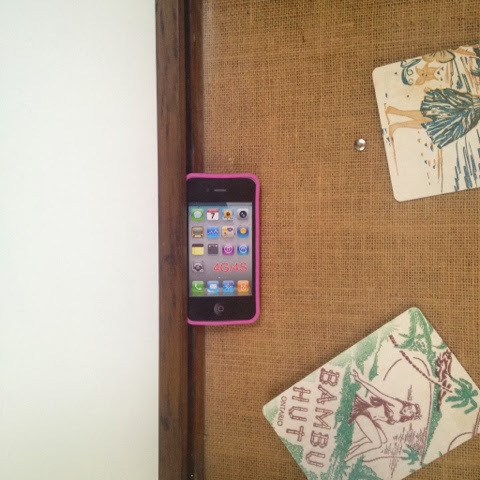 Where is the craziest place you’ve ever found your phone? I have found mine everywhere from in the coat closet to in the refrigerator. And it’s so easy to leave them everywhere because we TAKE them everywhere. I keep mine charging in my bedroom (I know. I know. It’s destroying my brain). When I take it off the charger, it goes straight onto my kitchen counter until I leave for the day. My system for this is the easiest ever. 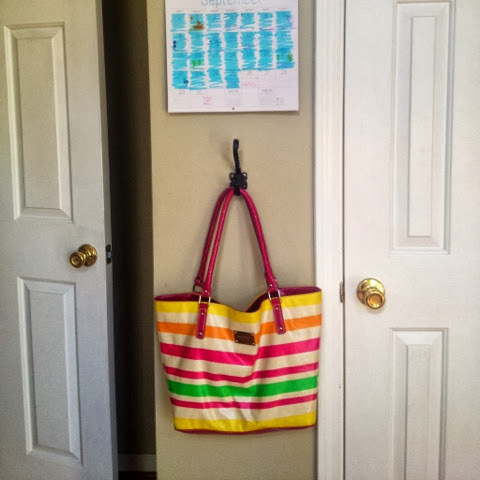 I have a calendar hanging in my office with a hook underneath it for my purse. Everyday when I get home, it is the second thing I put away (after my keys). This also makes it easy for me to add/remove items from it quickly… and keep it somewhat cleaned out. I cannot stress how important this is. 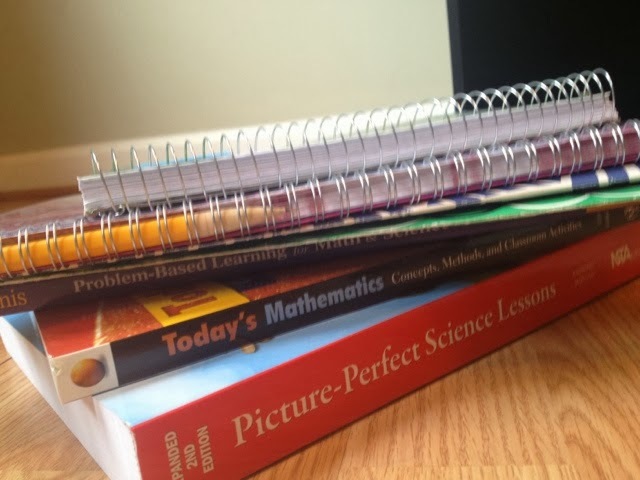 In undergrad, I had printed out assignments by the computer, textbooks by the bed, notes on the kitchen table… and I was always a nervous wreck trying to round everything up as I rushed out the door for class. KEEP THE SCHOOLWORK TOGETHER. Wherever it is, it should ALL be there. Save those panic attacks for something worthwhile. Like making a B. 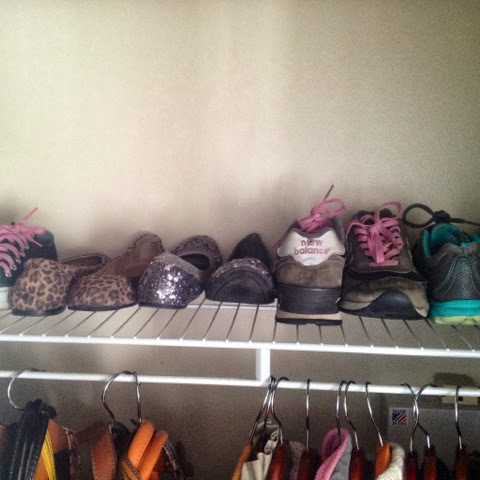 As a female, I just happen to own a few (dozen) pairs of shoes. And I want to wear the right ones. The ones that I envisioned myself wearing when I got dressed. The last thing I need is to not be able to find them. Shoes are something that should be put back immediately, no matter how tired, rushed, whatever you are. Your future self will thank you… and look adorable. I hate getting in the car only to discover that I left my sunglasses at home. I mean, it’s not the biggest of all deals but it just makes me feel less put together. 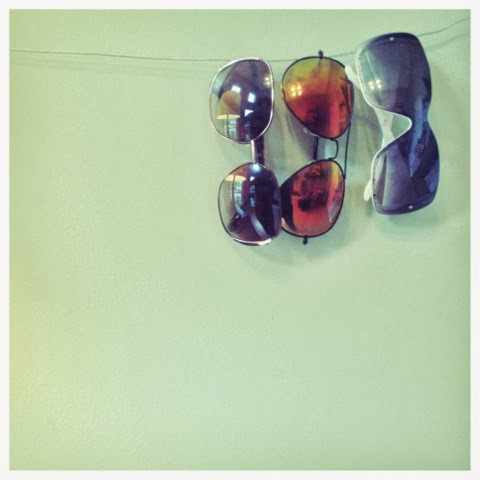 Creating a convenient space for hanging/storing these is such a simple and helpful thing to do. Plus, it will help prevent them from getting scratched or smashed in the bottom of a purse (and prevent you from getting wrinkles). What do you have to have in its place at all times?